Choosing your language services provider can be a time-consuming process, especially if you are not familiar with the industry. We’ve created this blog/report to alert you to the common problems that can hinder the translations process and not allow your projects to flow as smoothly as they could. Setbacks, as we know, result in loss of productivity and ultimately loss of profit. If you have experience working with language service providers, this report will help your company recognize past problems and improve your interactions in the future. Because the language service industry is quite unique and may be unfamiliar to most companies, it can be hard to recognize that you are not getting the optimum value out of your current provider. Below are some useful tips to keep in mind when selecting a language service provider for your company. We will be the first to admit that in our industry, most of the companies promote that they have the same capabilities, knowledge and experience. Therefore, one would think that if you line up four or five vendors that offer similar services and guarantees of quality, you should be able choose the one with the lowest bid, right? Well, not if you believe that cheap is never good and good is never cheap. You likely had a few expectations before purchasing your car or home that were unique to your particular needs, lifestyle and family. In fact, you most likely ended up choosing the dealer or agent who made you feel most comfortable and offered the best value. And while you likely didn’t have corporate pressure to save dollars when youchose these services, your own sense of economy likely kept you from buying that Mercedes or that mansion on the hill. A translation company that gives you a quote that is much lower than other vendors may tell you they have special tools, processes or people to get the cost so low, but you would be wise to “look under thehood” before buying. “We got the old bait-and-switch”- i.e. they were quoted one rate, and invoiced a much higher rate later, with a bunch of add-on services that weren’t in the original quote. “Our project was translated, but that’s it”—they didn’t know that other vendors an entire process of proofing and editing that go into their projects to ensure quality. So they were delivered files that were full of mistakes and not client ready. Are we saying that the priciest quote from your two or three vendors would have given you the best translation? Not necessarily. Just like cars and homes, language services also have a market rate that is fairly consistent. At EPIC Translations, we do our best to ensure our clients receive a fair price that accommodates their budget, without compromising our quality standards and procedures. 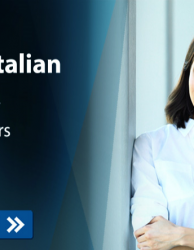 Unless you are requesting a single translation, and you are certain you will never need translation services again, chances are exceptionally high that you will end up establishing a relationship with your translation vendor. While smaller companies are easy to work with and provide a personal touch to the service they provide, they often do not have the resources necessary to complete large projects with aggressive deadlines. Larger corporations may have seemingly endless resources, but how easy is it to reach the person who is handling your project when you have questions? One of the ways we at EPIC Translations are working hard to distinguish ourselves is by offering more value to our clients, in the form of an unheard of Guarantee and a transparent tracking system that allows clients to follow the stages of their project. No smoke and mirrors here! We have the resources of a large corporation, but with the operating philosophy of a small company where each client has a dedicated project manager who not only works hard to complete your projects, but to build relationships as well. Your company may have more translation cost-saving assets tucked away than you realize, especially if you are relatively new to translation services. If you spend two hours on the phone each time your translation vendor needs a source or reference file that time will add up considerably raising the cost of the translation project. A little planning to ensure that the translations company has all the resources they will need can go a long way toward cutting cost and time for a given project. For this reason, make sure you include post-project access to your translation memories in any contract you sign. If your translation project has a lot of text inside graphics, multimedia or PDFs that will require translation, think about the time it will take either your desktop publishing team or the vendor’s to do this work. It may be easier and more cost effective to have the language service provider complete the entire project, including the desktop publishing. However, make sure the language service providers that you choose has experience handling desktop publishing tasks. At EPIC Translations, for example, we have highly experienced professionals solely dedicated to completing the desktop publishing portion of the project for our clients. Our clients save time and money by having us complete the desktop publishing because our rates are fair and we are then able to go back and have our editor linguists review the translation post publishing to ensure the formatting has not affected the translation in any way. 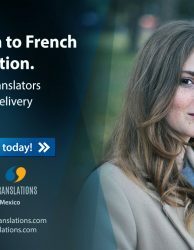 While your translation vendor may initially love the fact that you have blindly sent them EVERYTHING to be translated without giving it a second thought, this will actually present headaches if you do not intend for all of the information to be translated. Without clearly specifying what does and doesn’t need to be translated, you may find that you are repeatedly being asked to clarify your needs once the project is underway. Review what you are about to send your translation vendor and make sure everything is organized and comes with clear written instructions to compliment your verbal instruction. For whom are you translating? Take the time upfront to understand your end users’ needs. You may discover that they prefer spec sheets in English and really only will benefit from a small percentage of support and marketing information in their native language. We recommend that you combine this approach with your company’s overall global marketing strategy. There may be other advantages to translating large sections of the corporate marketing content, like Search Engine Optimization, brand equity, global lead generation, etc. The key is that you know exactly what business goal(s) the translation is going to accomplish before you request it. 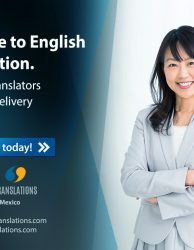 Your translation vendor should be poised to help you achieve success in business with your translation, and not simply provide you with words in other languages. Bottom line: The more information you can provide your vendor about the purpose of the translation, the better equipped the vendor will be to translate in a specific manner to achieve your business goals. In other words, you know when you see a presentation, hear a joke, or watch a commercial and you are definitely NOT the target audience, but somebody older or younger than you is. You don’t communicate the same way to your boss as you do your spouse or your children. In like fashion, a message or copy is written specifically for an English-speaking audience in the U.S. does not translate easily and effortlessly into another language. Just think of the variations and dialects of English spoken by people in different parts of the U.S., the U.K., Australia, India, and other parts of the world. When you travel to one of these areas, and you see local commercials that are heavy with the flavor of that region, you probably find yourself unable to follow everything that’s being said, in spite of the fact that it is in English. The deciding factor in how English varies in these regions is, of course, that often loosely-applied word “culture.” There are endless ongoing scholarly debates about how culture and language are or aren’t affected by one another, but it should be readily apparent by the wide variations in English that culture and language are inseparable pieces to the puzzle of communication. The message you are communicating in English is inevitably affected by your culture, and the message your audiences will be receiving in other languages will inevitably be filtered and affected by their cultures. This process of cultural translation is called “localization”. Basic English sentence structure—subject-verb-object, no passive voice, confusing compound sentences. Avoid: idiomatic expressions, jargon, synonyms, words that can be nouns or verbs or adjectives, negative statements. All acronyms spelt out, with a glossary of proprietary terms. Use words with their primary dictionary meaning. Repeat a noun instead of using a backwards-pointing pronoun. Optionally, if you have the copy that is very marketing-oriented, and you want to deliver the same impact in other languages, you should probably consider letting the translators on the project have significant leeway to re-write the message in their native languages. 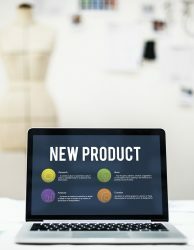 If you are embarking upon a significant marketing campaign in a new locale, and plan on having several media outputs to establish heavy brand identity in that locale, we highly recommend you partner with a reputable marketing agency that has solid experience in that locale (and then have them hire us!). Inevitably, every project is going to have updates, additions and revisions. With a little planning, you can build contingencies for new and modified text into the translation process. What changes do you or your team know will likely take place? Are portions of the help content and documentation still being reviewed and rewritten? Remember that your translation project manager is not the opponent, but a big part of your team. Keeping them in the know regarding changes—even those that may never materialize—is key to helping them stage the optimal project. If, at the outset of a project, you know that revisions or major changes may be in the project’s future, tell your project manager so they can adapt and plan appropriately. Make an effort, when feasible, to batch your revisions and change orders. If there will be a large number of changes, batch updates at an agreed- upon cycle with your vendor (weekly, biweekly, etc.). Assume that most changes will happen at the end of a project, so plan resources accordingly. Agree on a cut-off date for changes with your vendor. You can always incorporate small changes in a point release. Communicate the change management plan to all relevant parties. Before the translation project begins, be sure to check this list. Not all may apply to every project, but in the large ones, these steps will save you time in the long run. We know that for you and your company, translation and localization are not an insignificant part of your project budget. That is why it is important to ensure you choose the language service company that provides you with the most value by producing quality, client-ready translations within your budget. For those who have not been so careful in their selection, there is often a horror story of discovering that the target audience was confused, shocked or offended by the resulting translation, or that a glaring mistake was found too late. We can’t stress enough the importance of organization, planning and communication during the process of a translation project. We hope this report was helpful in pointing out some important aspects of working with a language service providers. You can check in regularly at our blog for expanded commentary on the various points within this report. Be sure to add us on Facebook and Twitter to keep us on your radar and please call us with any questions.